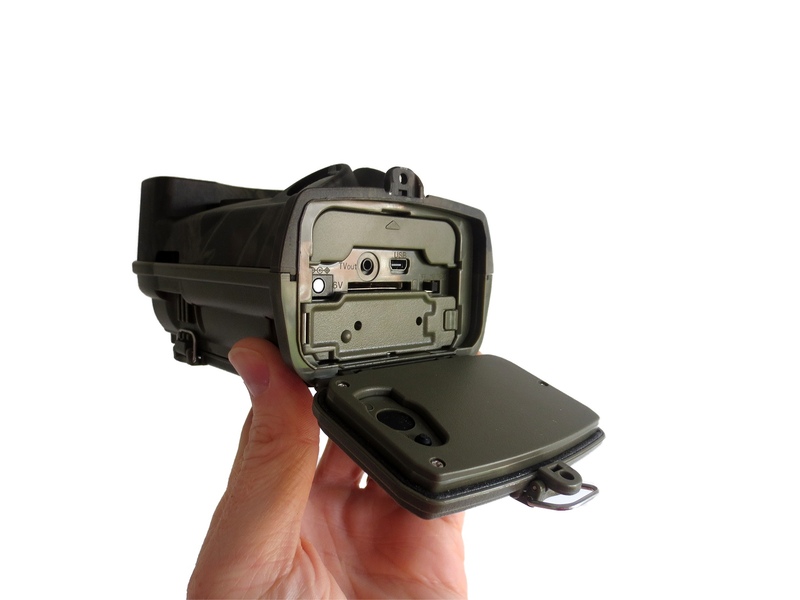 This Ltl Acorn 6310 series wildlife cameras offer HD 1080P video recording & audio coupled with the larger (44 led) infrared array, 32G SD card capacity and the ability to hold a maximum of 12 AA batteries. The Ltl Acorn 6310 cameras can be triggered to record video or take photos only when motion is detected, or you can use the time lapse mode to have the camera take a photo at set intervals (i.e. take a photo once every 60 minutes for example). 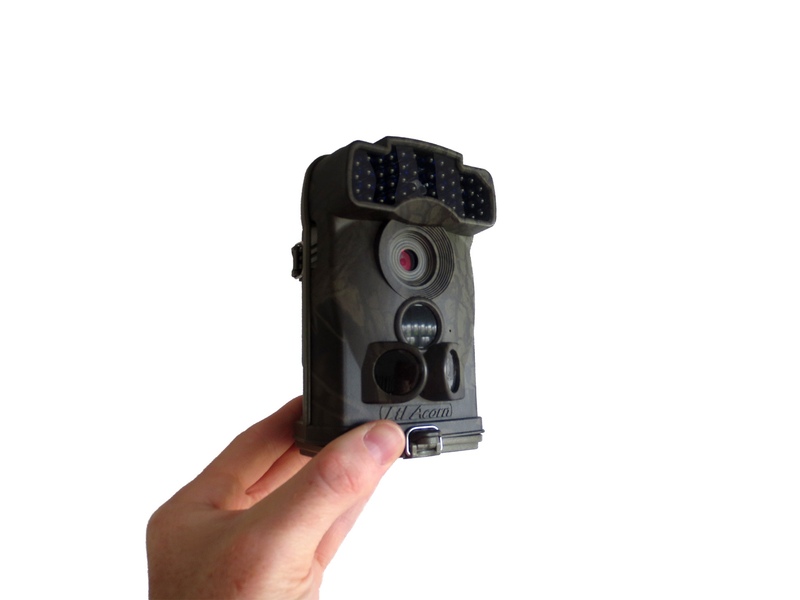 The built in Timer feature allows you to instruct the camera to operate only between certain times of day or night or you can just leave the trail camera to record whenever it’s triggered by motion/heat change. 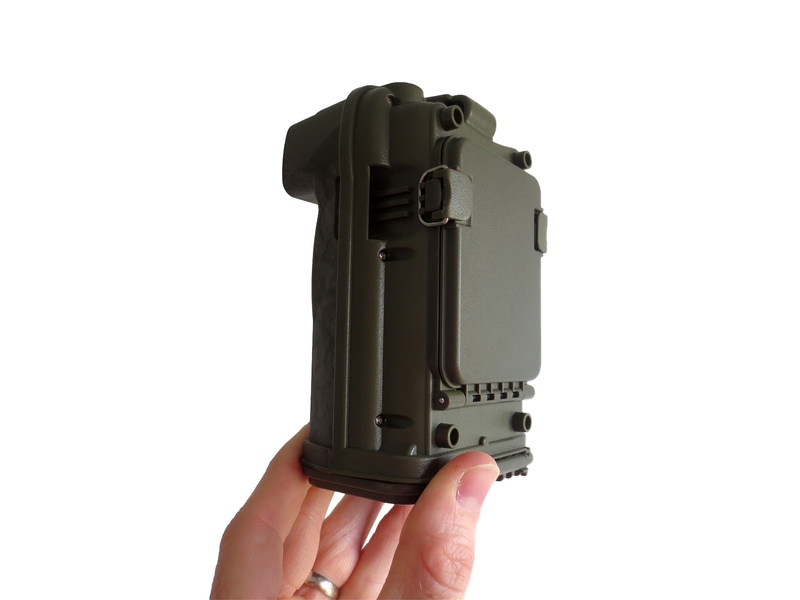 The camera trap uses the 940nm (nanometer) infrared frequency so there is no glow from the leds themselves, making the camera ideal for security surveillance applications as well as wildlife video capture. It holds a maximum of 12 AA batteries but can run from just 4. As you would expect, the more batteries you use the longer the running time will be. Batteries are not included but battery choice is vital for the efficiency of your camera, do not choose any batteries with a capacity lower than 2500mA. We currently use and recommend Panasonic Eneloop Pro 2500mA Rechargeables or Vapex Instant 2500mA Low Self Discharge Rechargeable AAs, they both work very well with the Ltl Acorn cameras and are excellent value for money but the Panasonic batteries will run your camera for longer before requiring a recharge. 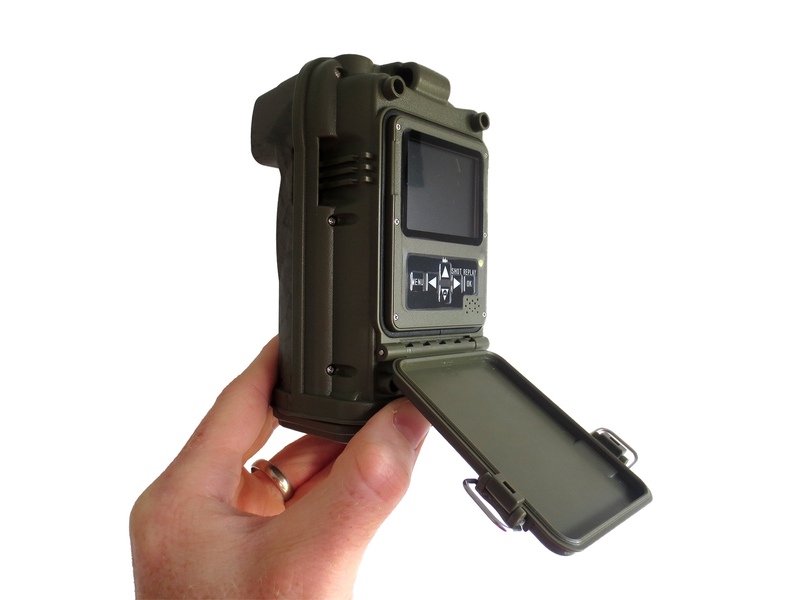 The 6310 series trail cameras require an SD card (not supplied as standard) and can take up to 32G. Always use SDHC and class 10 cards. Available with either the standard or wide angle lens. The standard lens has an angle of view of 55 degrees and the wide angle offers 100 degrees. For an idea of which version lens may be best for your application please have a scroll through the product images to see the lens comparison image. Prompt service – very good camera. Very rapid service – ordered in the evening, delivered to the Scottish Highlands 36 hours later, no extra charge. Brilliant service. Motion Sensor Trigger Range – 15m approx. SD Card Required – 32G max. Please read all information below before reporting any faults or missing items! The information contained in this post is applicable to the Ltl Acorn 6310MC & 6310WMC models (both 850nm and 940nm infrared versions). You do not need a CD, SIM or any software whatsoever to use this camera. Please note, if your 6310MC / 6310WMC has a SIM card slot hidden behind the secondary battery door please ignore it. It is non functional and cannot be used as the 6310MC model is not a cellular version, it does not have a modem or an antenna. Open hatch at bottom of camera & insert SD Card (32G max) and 4 x AA batteries behind the spring loaded battery door positioned to the front of the camera. There is space for another 8 AA batteries behind the secondary battery door positioned further to the rear of the camera should you wish to use them – this will mean that your camera lasts longer “in the field” before you will need to change or recharge the batteries again. Please read the section further down the page about which batteries to choose, your battery choice is vital to the performance of your Ltl Acorn camera. Once you have inserted your SD card and batteries, open the hatch on the back of your camera behind which you will see the LCD screen and function buttons. Flick switch on bottom of camera to TEST position. LCD screen will come on (the screen will go straight off again if you have not inserted a compatible SD card). Push MENU button & use arrow keys to select and change settings. Remember to push OK button after each setting charge. Press the MENU button again to leave the menu when you have finished adjusting the settings. Flick switch to ON position, LCD screen will now switch off & camera is now ready to be deployed. You may notice a light flashing on the front of the camera for about 10 seconds, this is just the camera preparing itself, once the light stops flashing the camera is in operation and will start recording as per your settings. Close bottom hatch and lock with the clip. Select TEST mode and then push the OK/Replay button. Scroll through the recordings by using the up and down arrows. If you are on a video clip you will see a video camera image on the top left corner, you can push the right arrow key to play this clip. Whilst in the Playback screen you can push the Menu button to bring up the option to delete clips, you can either choose to delete the current clip/photo or delete all of them. Push the OK button to go back to the usual TEST screen. Camera, Camera+ or Video Camera: letting you know which recording mode you currently have the camera set to. 5M / 12M – photo megapixel resolution you have the camera currently set to. [00014/07611m]: the number to the left of the / tells you how many recorded clips the SD card has stored currently, the number to the right of the / tells you how many it could store in total. SD: SD card icon confirms that you have a compatible SD card inserted in the camera. Battery Indicator: estimated current strength of your batteries. Please note, your 1 year warranty is always with your retailer. For instance, if you bought directly from Amazon or any other retailer then your warranty is with them. However, here at Pakatak Ltd, we carry Ltl Acorn spare parts and are always happy to test your camera for you if you think it has developed a fault. HINTS, TIPS, Do’s & Don’ts! Batteries are not included but battery choice is vital for the performance of your Ltl Acorn camera, do not choose any batteries with a capacity lower than 2500mA. We recommend Vapex Instant 2500mA Low Self Discharge Rechargeable AAs or, even better, Panasonic Eneloop Pro 2500mA Rechargeable AAs which you can purchase directly from us, they work very well with the Ltl Acorn cameras and are excellent value for money too. We use these batteries every day and so can vouch for their compatibility. DO NOT use “off the shelf in the supermarket” Alkaline batteries (unless you are sure from the specifications that they are 2500mA or more) as they are unlikely to be powerful enough and so will reduce the performance level of your camera. Always use genuine branded SD cards, there have been in the past many fake cards on the market (especially being sold on Ebay etc). Also, always format your SD card using the “format” option in the camera menu, do not format your SD card in your PC for use with the Acorn cameras. SD cards do not last forever unfortunately, if you think your card may have developed a fault please try a new one before assuming your Ltl Acorn camera has a fault. Battery and SD card issues are the cause of 95% of camera problems that are reported. In TEST mode go into the Menu and select Default to return the camera to factory settings. The infrared beam is powerful so don’t position the camera too close to any solid objects as your night shots could suffer “white out” issues. 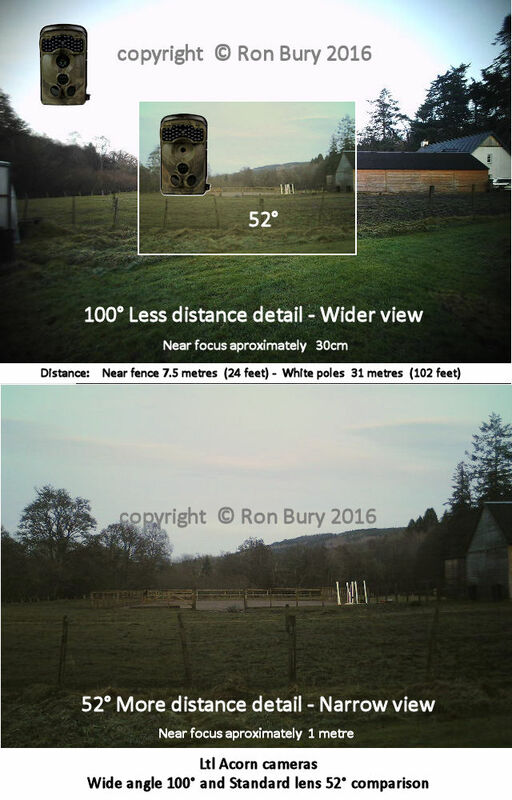 If your camera has this feature then you can adjust the power of the infrared, great if you are getting some white out issues on your night vision video footage or photos. When in TEST mode just push the downward arrow button on the camera, your current infrared brightness level will be displayed on the screen, push the downward arrow key again to change the setting etc, there are 3 levels available (high, medium and low) and your camera is likely to be set to high as default. If you find that your camera is not responding correctly to the switch position you have selected, for instance the LCD screen does not come on in TEST mode but the camera works fine in ON mode, or if you have the camera in TEST mode but it si working as if in ON mode then it may be that the switch contacts have become dirty. Please let us know by emailing alan@pakatak.co.uk (English language messages only please) if you think of any other useful information that should be added to this guide.